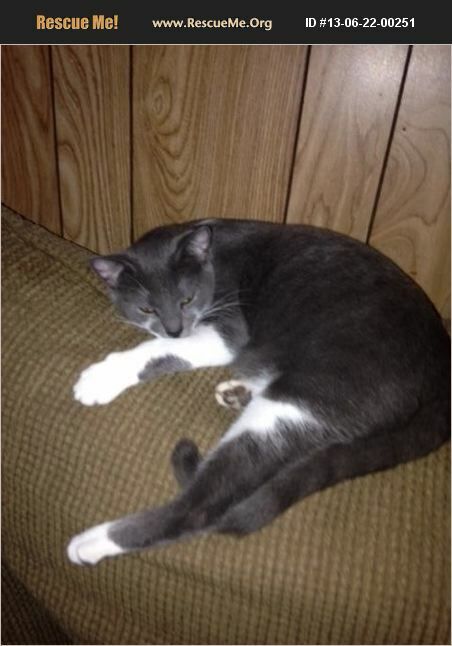 Cami is a sweet Russian Blue/Domestic shorthair mix who was born about 4/20/13. Cami somehow made her way into the wheel well of our one of our foster mom's cars. Her foster mom heard her distress calls and was able to locate Cami and remove her from the wheel well. Cami got her name as the car where she was stuck was a Camry. Cami does great with other cats and dogs. She is up to date on shots, FIV/FeLV negative and spayed. Since Cami had such a rough a start in life she is now wanting a home where she can live in luxury and safety.